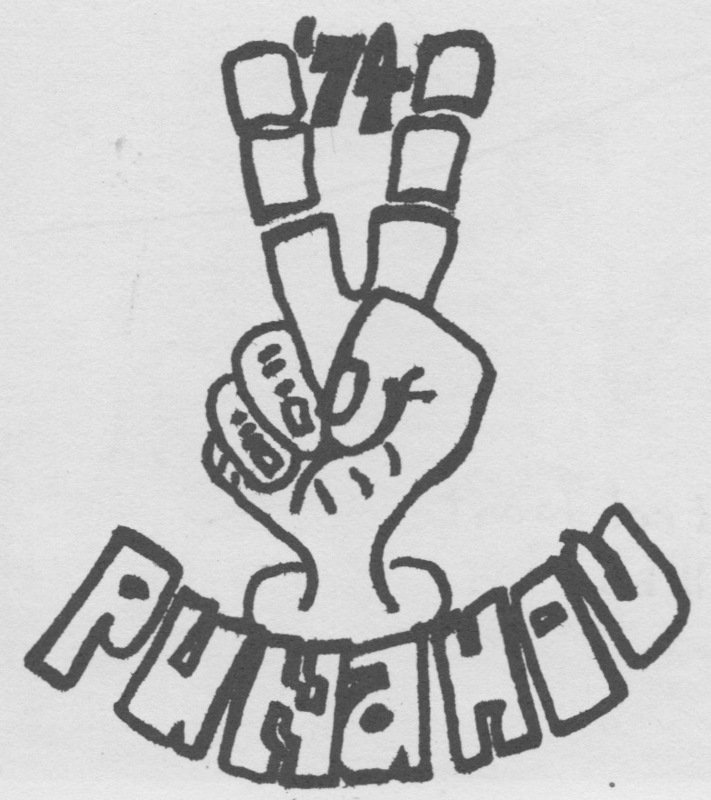 I am regularly amazed by the artistic creativity and aesthetic know-how of Punahou students. On Friday, May 29, 2015 there was yet another reminder of these imaginative gifts to be found on campus. Punahou athletic shorts let you know that this plastic person is in the right cafeteria. When one enters Dole Hall one expects to see a space filled with the bustling lunchtime conversations of students enjoying their mid-day break. What one does not expect is brooding approximations of these diners: plastic sculptures of beings frozen in time and doomed to an experience of unending similtude. Who were these plastic people? Asking one of the nearby students, I learned that they were a project of the academy sculpture class. Interesting. How were they made? 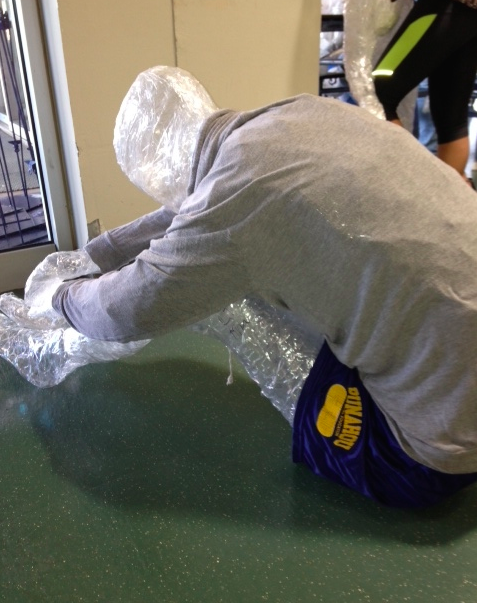 Each student was wrapped in layers of plastic package tape. The first layer was placed against the body with the sticky side out. The second layer went atop the first with the sticky side in. Once wrapped, the student would be cut out of the plastic cocoon. The cuts would be taped over and, voila! A plastic person sculpture. Quite an interesting result! Good job!